Now, neuroscientists can verify if that is the case, and they may even be able to communicate with some unresponsive patients. But, a Mason professor says, these new discoveries open a Pandora's box of ethical questions. "It turns out that neuroimaging techniques reveal that a significant proportion of these patients are aware, despite the fact that their behavior points toward the vegetative state. Some estimate that as many as one in five patients that appear to be in the vegetative state could be conscious," said Andrew Peterson, a George Mason University philosophy professor who recently received a competitive Faculty Scholar award in bioethics from the Greenwall Foundation. The award will allow Peterson to investigate ethical and policy issues associated with severe brain injury. Now that these methods can determine whether some unresponsive patients are conscious, said Peterson, there are many ethical, legal, and policy questions that need to be answered before bringing these neuroimaging methods into hospitals. "Are these patients in pain? What do patients' families think of these technologies? Should these new techniques inform end-of-life decisions?" Peterson asked. 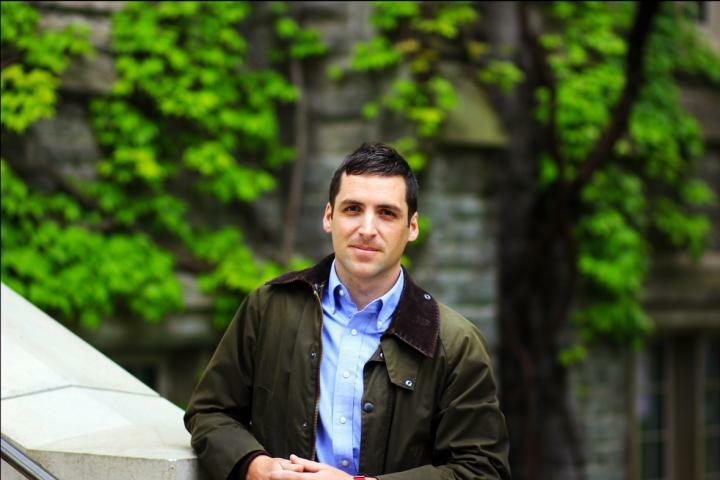 While working toward his PhD at the University of Western Ontario, Peterson spent much of his time studying with a team of leading experts in bioethics and neuroscience, including Charles Weijer and Adrian Owen. Owen, a neuroscientist and pioneer in disorders of consciousness research, developed the techniques that uncover consciousness in brain-injured patients. His lab also found a way to communicate with some patients who were previously thought to be unaware. Peterson experienced the development of these new methods firsthand while also raising philosophical and ethical questions to the team as new research emerged. "In raising these questions, philosophers can modestly contribute to the effort of bringing these neuroimaging methods into the clinic," Peterson said. "This could have a lasting and beneficial impact for these patients, their families, and the health care professionals that care for them." Neuroimaging techniques, such as fMRI and EEG, can provide insight into brain activity when a patient shows no behavioral signs of awareness. Researchers can instruct patients to imagine certain activities and then determine whether the patient is following the instructions from the neuroimaging data alone. "The neuroimaging test we developed is like asking a patient to raise her right arm on command," Peterson said. "But, with our method, a patient just has to imagine the activity." The method allows researchers to identify patients who are aware but behaviorally unresponsive due to brain injury.